Posted: Tue Sep 26, 2006 5:24 pm Post subject: "A rose by any other name..."
Ever since man crept tentatively out of his cave, sniffed the air and began his long progress towards present day, the rose has played a part in his life. Rather than just a thing of beauty it has been caught up in his art, religion, politics, literature and diet. The rose has and hopefully will continue to be used in the medical profession as an ailment for many illnesses. Most common is the use of rose hips; full of vitamin C they have proved invaluable to the herbalist. It is for this medicinal benefit that the majority of roses were first imported from the Middle East to places such as Greece where, understandably, they continued to move westwards. Far be it from me to comment on the works of Shakespeare however, he did sell the rose through many of his works and rose growers do have him to thank to some extent. The most famous rose, which appeared in Shakespearian literature, is the Damask rose and can be found in Shakespeare's 'Henry VI', more commonly known as the York and Lancaster rose. Having now delved into early rose history in general, it is time to look at the cultivation of the rose and it's various species. Whether you are a novice or an expert on roses, you will find they provide for a cornucopia of situations. Under the heading of Rosa you can expect to find climbers and ramblers, bush and hybrid teas, species and floribundas- all of which are a synch to grow. When it comes to species roses they tend to lack that vavavoom that modern-day gardeners look for due only to the fact that they have single flowers with little or no scent and a short period in which they flower. Although, they are worth growing if the room is there but, I am forced to admit, they are hardly worth their while in a small garden in search of a long flowering season. 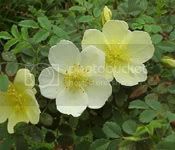 Rosa canina has, in regards to the name, something to do with dogs giving it its common name: the dog rose. One of the most widely recognised native roses in Britain, it is best planted in the wilder garden. It can prove highly rewarding to grow this species from seed as it is rather variable and nobody knows what it will produce. Generally, blooms are pink, red and white and hold little fragrance in summer whereas their scarlet rose hips provide lasting interest in autumn and winter. This species is best planted where its tall habit can be appreciated; at the back of a border for instance. 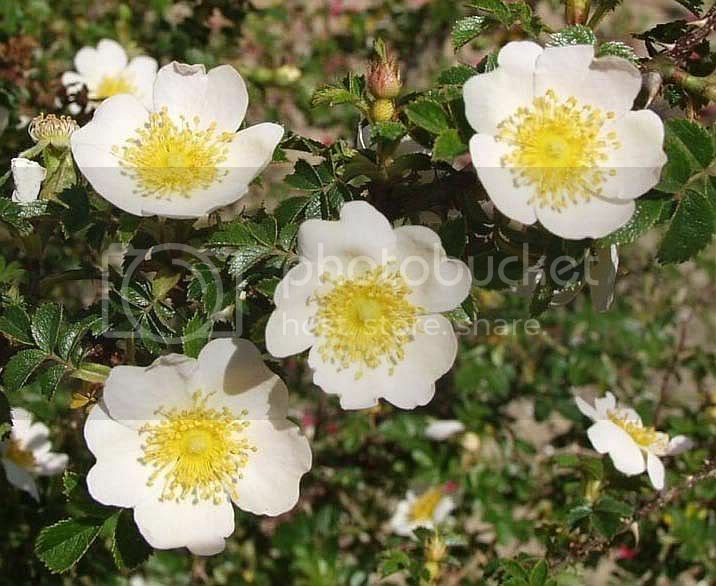 Rosa eglanteria is another well known native, which was Shakespeare's 'sweet eglantine'. Where Rosa canina rushes in; Rosa eglanteria fears to tread and is, therefore, far less common in Britain. It is however worth growing as its foliage emits a sweet fragrance, especially enhanced when planted in a sheltered suntrap but will also tolerate deep shade. Being an excellent choice for the wild garden or hedgerow, it will indeed create an effective if not painful barrier that is virtually impenetrable and hosts a mass of small pink flowers with egg yolk middle. If the usual is what seek then Rosa glauca is what you are looking for. Small purple-pink flowers bear a slight yet evocative scent throughout the summer months. Besides its floriferous habit, its greatest asset lies in its leaves. With leaves on the verge of being blue that turn red in autumn and purple immature stems, this vision of beauty looks marvellous in a range of situations whether they be in full sun or moderate shade. 'Sir Cedric Morris' is a tremendous cultivar of Rosa glauca bred with Rosa mulliganii. It is quite different to R.glauca, producing an abundance of heavily scented white blooms and achieves an ultimate height of 33ft if the conditions prove satisfactory. No article about species roses would be complete without the mention of R.primula (Incense rose)- a gorgeous plant originating from Central Asia carrying medium-sized pale yellow primrose yellow flowers that, by late spring, are engulfed in an almost tangible aroma. Something, which I would stress, is; they are more demanding than others and can prove difficult to grow however a heavy soil and an avoidance of shade should combat these successfully. Coming back to basics, Rosa biebersteinii - formally known as R.horrida- promotes all that is simple about roses. It originates from Eastern Europe and Western Asia but has never really stirred much excitement amongst gardeners. In reality, horrida basically means thorny which is a rather just description although this species doesn't appear to be any pricklier than other varieties. Having said all this, the flowers of R.biebersteinii are simply beautiful being a 'wedding dress white' with a gentle musty fragrance. Once these have faded small red hips take their place and work hard all winter to bring colour to the garden. If simplicity is what you are after, I find R.biebersteinii stands well in a mixed border where, after flowering, it stands back for other plants to perform in its place. All the species roses mentioned above are subject to the same pruning regime: very little pruning in fact. Once a year cut out any dead, damaged or diseased stems to a couple of inches above soil level and, to encourage new shoots with extra vigour, cut a few of the thickest branches every two to three years. If it is possible to deadhead your roses then do so as this will drastically increase their flowering period but do make sure to leave some deadheads on to ensure the formation of those magnificent rosy red hips in autumn. The images really add to the article. They are informative and liven up an already quality article no end. it's marvellous to get praise from something you love doing. I hope to add a new article every saturday from now on.